The Port of London Authority (PLA) is the harbour and navigational authority for the tidal Thames below Teddington through to the Thames Estuary. 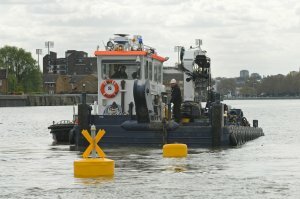 The PLA's primary role is the management of navigation and promoting the safe use of the tidal Thames. It also maintains and operates the half-tide lock at Richmond. Although we oversee the running of Britain's second largest port and the busiest inland waterway in the UK, we also take pride in a river that's a centre of excellence for rowing, a home to around 70 leisure craft clubs, facilities and marinas, an iconic destination for visiting boats, and host to at least 80 sporting events every year. The PLA believes passionately in a river that's accessible for all responsible river users and we work closely with commercial, recreational, community and amenity groups to make this happen. 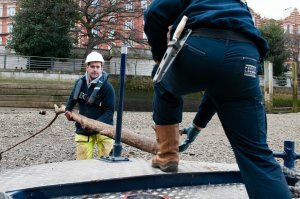 The river is a precious asset and we want you to enjoy it to the full - and safely. In order to support the safe use of the river we make a great deal of information available to recreational users, including guides, charts, navigational advice, tidal information and videos, as well as details of our local rules and regulations. All told, a substantial amount of infomation, guidance and advice is available both in hard copy and on this and our main website (www.pla.co.uk).